Pine Ridge Nursery has the largest retail tree yard in all of Southwest Virginia. 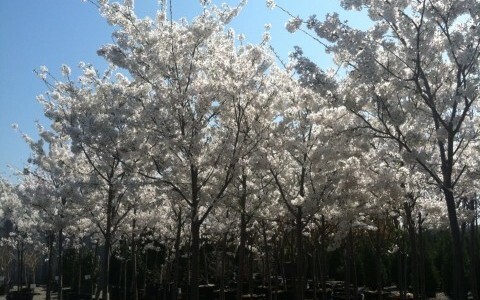 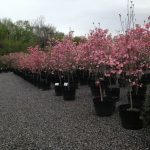 Each spring, we stock thousands of trees in to include Spring Flowering Trees such as Cherries (Yoshino, Kwanzan, Weeping, and more). 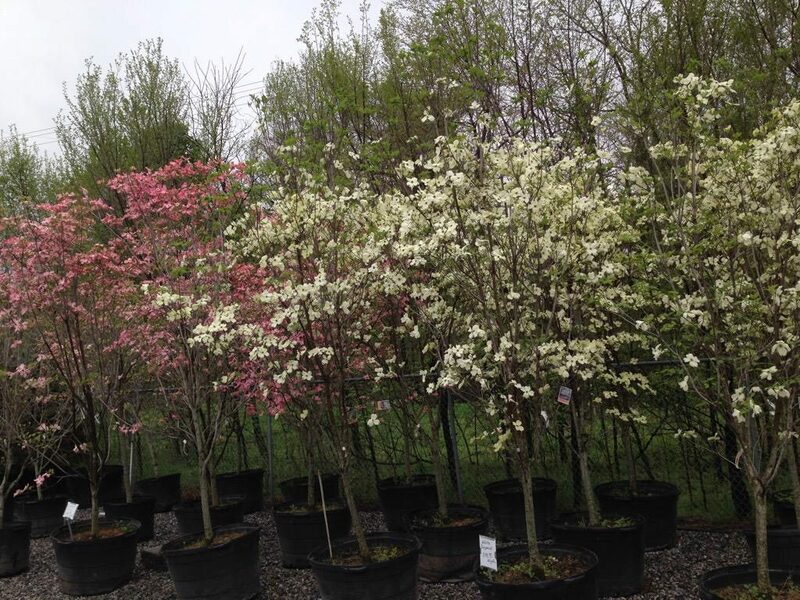 We stock Dogwoods (White, Pink, Kousa), Crabapple, Pear, Redbud, and Purple Leaf Plum to mention a few. 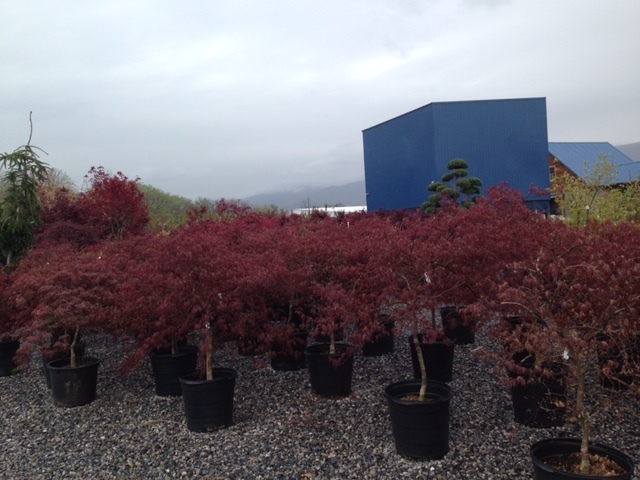 Pine Ridge also stocks Summer Blooming Trees year round such as Crape Myrtle, Golden Chaintree, Vitex, among others. 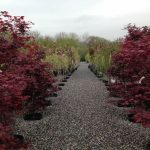 If shade is what you’re looking for, we stock a tremendous selection of shade trees with many varieties of Maples, Oaks, Gingkos, Locust, and Elms. 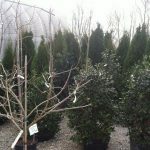 What about privacy or a windbreak?? 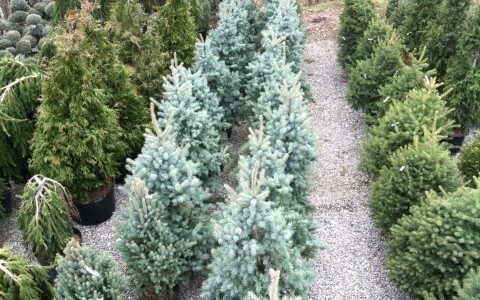 No problem, Pine Ridge stocks Leyland Cypress, Blue Spruce, Norway Spruce, White Pine, Arborvitae, and more. 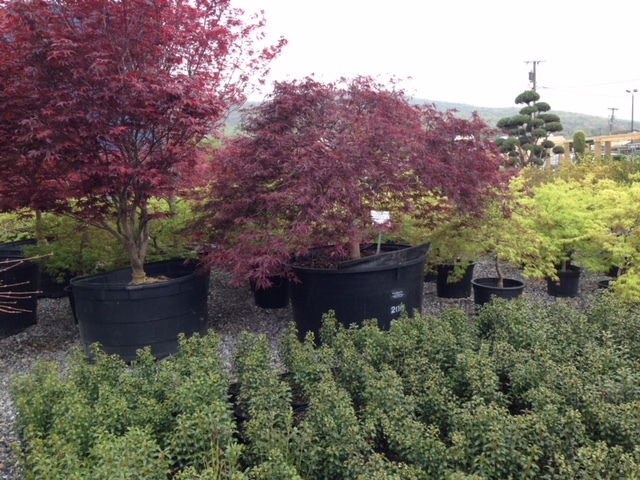 If you’re looking for a tree/trees, Pine Ridge Nursery’s tree yard is a must see! 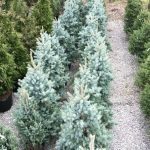 Size and price selection is truly amazing with trees from 2-3 gallon pots priced in the $20’s to trees in the 20-30 foot range and priced accordingly. 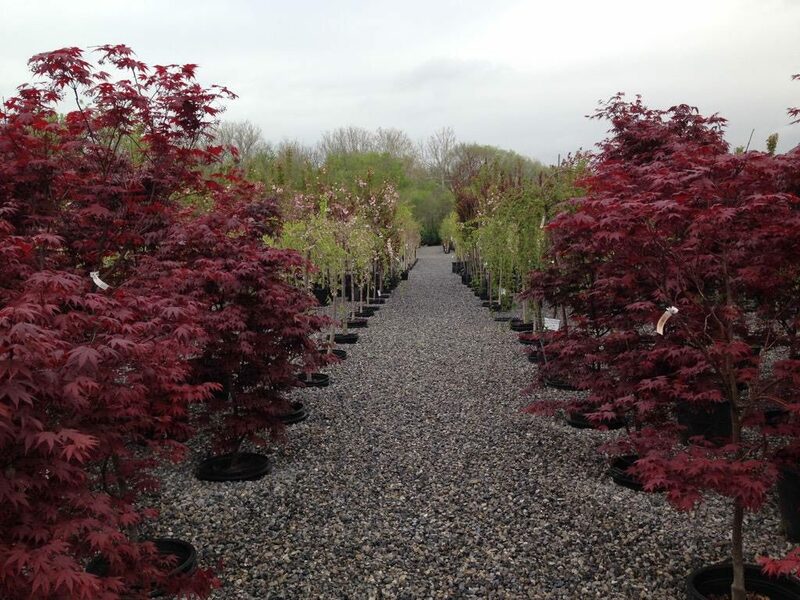 We have a great selection and tremendous quality that is worth a visit! 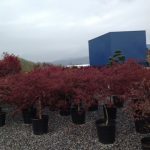 We keep a tremendous selection of Japanese Maples and Unique Evergreens that can make great specimens in your landscape. 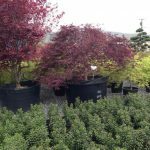 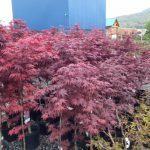 Japanese Maples from 2 gallon to 200 gallon in weeping and upright forms from green leaved, red leaved and variegated varieties. 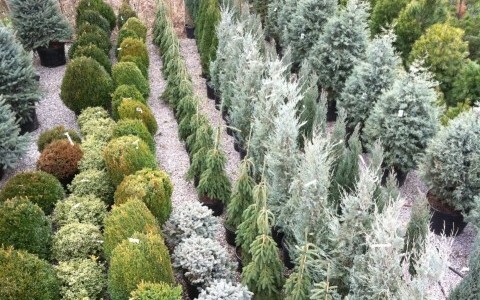 We have Topiary Evergreens of all sizes and price ranges cut out many different varieties. 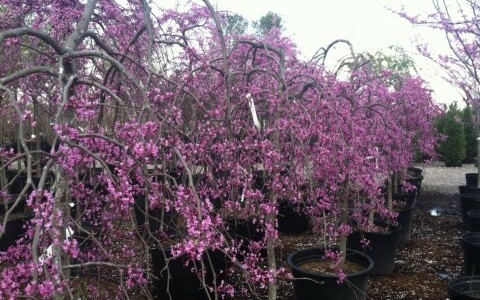 Pine Ridge also carries Beech in Weeping and Columnar varieties that are eye catching in the landscape. 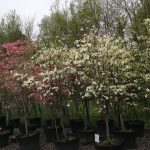 We have a great selection of fruit trees. 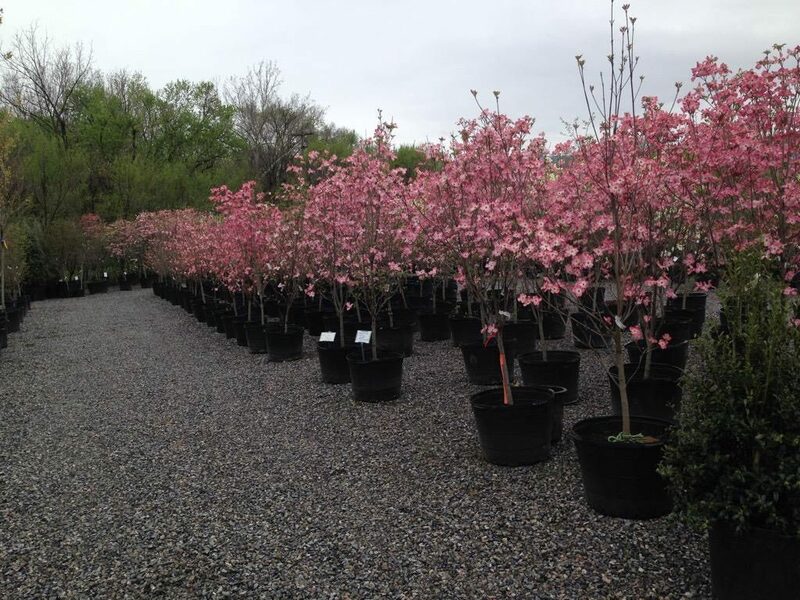 We carry apple, peach, pear, plum, cherry and many more! 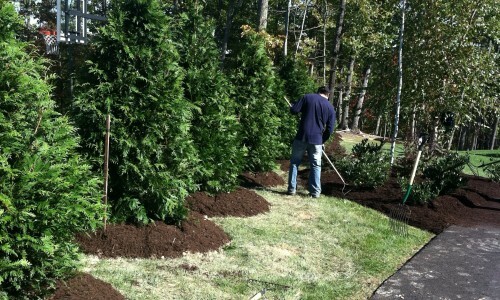 Pine Ridge Nursery also provides installation services on our tress if desired. 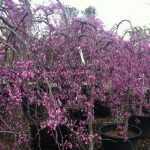 The process has been put in place to attempt to make it as easy as possible on the customer. 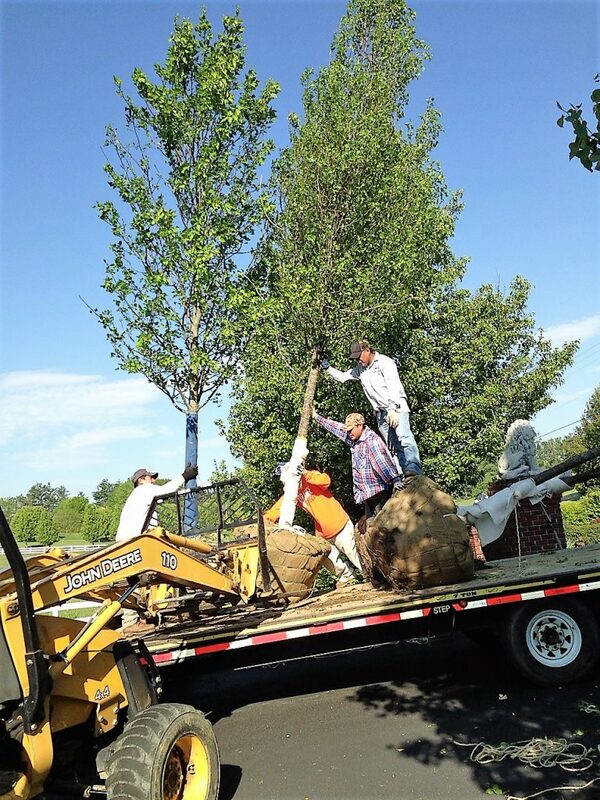 Simply pick out your tree/trees and Pine Ridge Nursery supplies you with flag/flags for you to take home and place in your yard at your desired location. 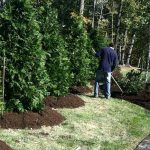 Pine Ridge delivers and installs your tree with mulch around your tree, stakes and a one year warranty at ½ the cost of the tree. 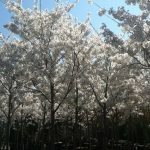 We do have a $75 minimum. 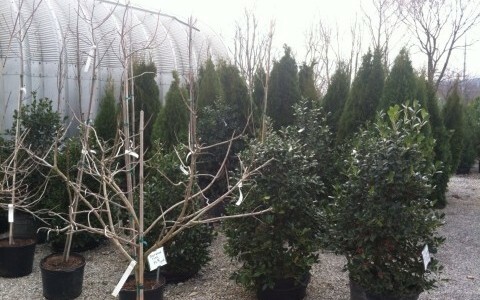 For example, if the tree cost $225, the plant fee would be $112.50 plus tax. 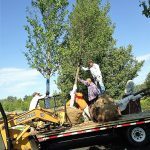 Included in the plant fee is delivery, mulch, stakes, and other items needed to install your tree. 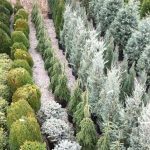 Before coming to install your tree, we will contact Miss Utility, by law, and have them mark your property for lines such as telephone, gas, and electric. 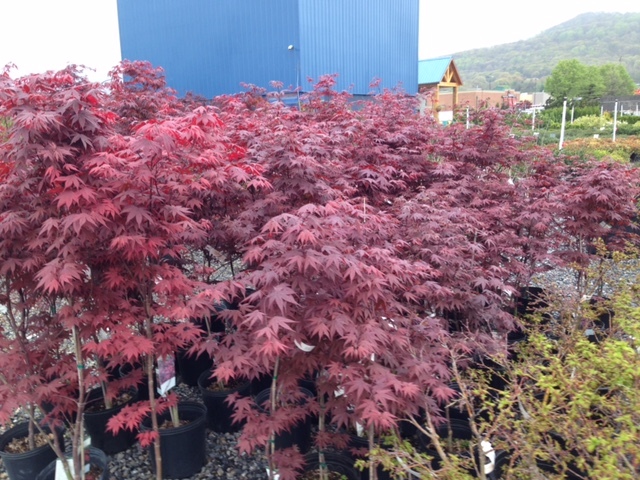 Please call (540) 389-7971 or stop by our nursery at 41 Hurt Lane, Salem, Virginia.